Save, Spend, or Share? Create a visual budget using the 3 Ss of Money. ATM Vestibule: Explore “needs” versus “wants” and practice counting money. Money Match & Coin Sorter: Identify different bills and coins by appearance and value. 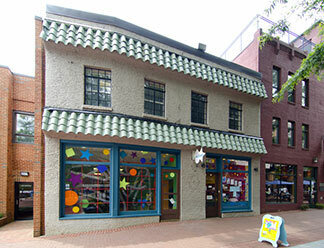 Invest in some imaginative play in Little C’ville’s bustling banking hub, sponsored by Bank of America! 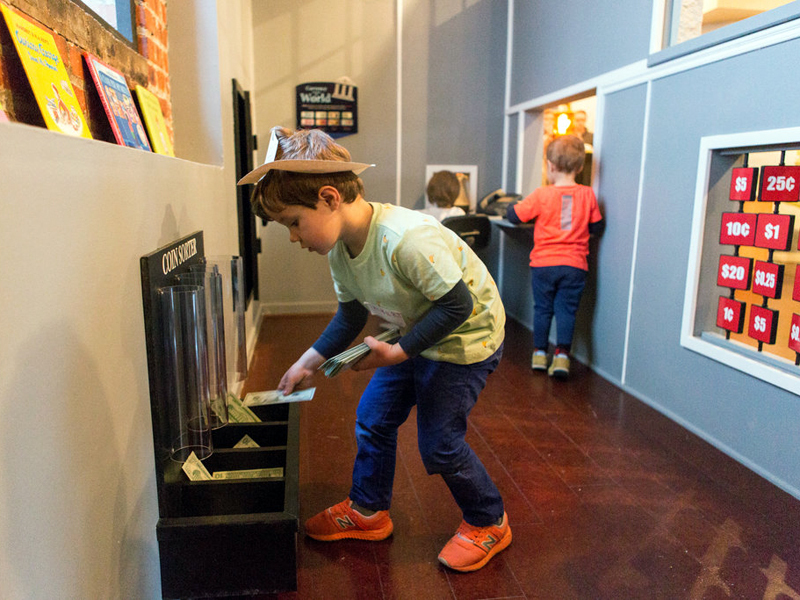 Make a deposit, store valuables in the vault, and take a seat at the teller window and count up dollars and cents as you build math skills and learn basic concepts of financial literacy.